The FEAST! Local Foods Network is a partnership of many organizations, businesses, and individuals committed to growing a sustainable, local and regional food system which encourages innovation. By providing resources and technical assistance to food and farming entrepreneurs, we hope to see current businesses flourish and new businesses get established. The network launched as a partnership between SMIF and Renewing the Countryside, and is made up of many partners. More than 1,500 attend the annual Feast! Local Foods Marketplace in Rochester (held November 30 - December 1, 2018). 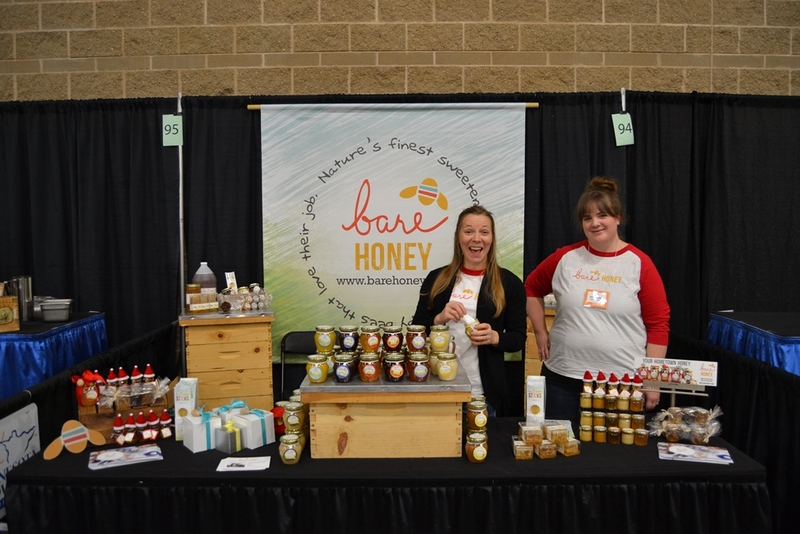 The Friday Tradeshow event is specifically for exhibitors and buyers - a great way to preview hot new local food products that are on-trend and shelf-ready! On Saturday, the public is invited to the Festival to sip, sample and stock up on locally-made foods from Iowa, Minnesota, and Wisconsin. Listen to Tim Penny talk about the 2017 Feast! Local Foods Marketplace event and other local foods programming on the Brownfield Ag News. We’ll call this a fair trade: in exchange for SMIF’s first Grow a Farmer Fund loan, Molly gave us a beet. Molly’s parents, Bill and Ellen, are the owners of Hare & Tortoise Farm near Zumbro Falls. They moved to Zumbro Falls from the suburbs of Chicago in 2014. They began farming in the summer of 2015. Bill and Ellen said their neighbors were essential in their growth including Heartbeet Farm, about four miles away and where Bill interned and learned more about farming. "This loan is coming at a perfect time, to help launch us into a lot of the projects we want to do to make the farm our own." Bill and Ellen used their loan to help them scale-up their operations a bit faster, including a waterway to reduce flooding and a root washer. They are a USDA certified organic vegetable farm. The Grow a Farmer Fund is a revolving loan fund managed by SMIF that offers lower-interest loans of up to $15,000 to individuals in SMIF's 20-county region for inventory, supplies, working capital or machinery/equipment. The fund has grown to nearly $100,000 from generous contributions by more than 250 people and organizations - a true testament to our region's commitment to supporting a local food economy in southern Minnesota. Contact Marcia Haley: marciah@smifoundation.org | 507.214.7021. FEAST! Smart Start is a program designed to support farm and food entrepreneurs through technical assistance and customized, transformational coaching. Strong food economies are dependent upon successful entrepreneurs. These individuals start and expand small scale farms, production and processing facilities, distribution hubs, and food transportation systems. This also includes small town grocers, local cafés and restaurants, caterers and food service businesses all of which specialize in including local foods on their shelves or menus. For questions about the FEAST! Local Foods Network visit www.local-feast.org or contact Pam Bishop at 507-455-3215 | pamb@smifoundation.org.